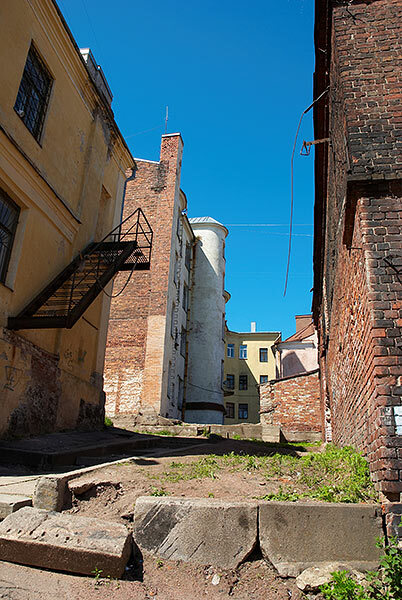 This is a real medieval house #13 at the Fortress street (Krepostnaya ulitza). 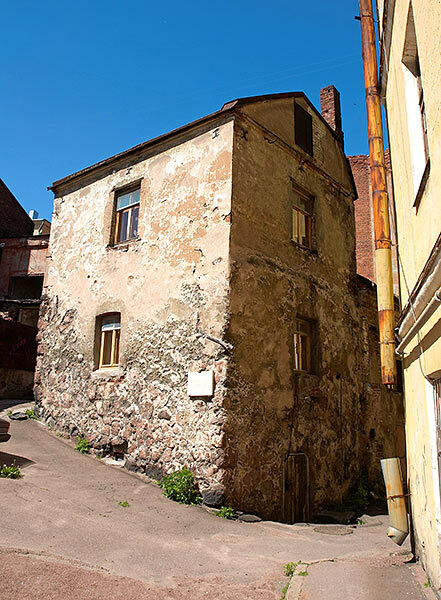 It is the oldest residential house in all the Russia. It was built in 1583 and there are the tenants lives here till nowadays.